Welcome back to BookWinked. Today, instead of the regular Humpday Reading, we have Authors on Books. Authors on Books is a new feature in which authors give book recommendations. They can do so in whatever for they want to. On a theme, books they recently read, but always with why they like the books. Today we have Ofelia Grand here to give her recommendations! Give her a warm welcome! That’s always the question, isn’t it? Either you don’t find anything you want to read, or you have too many options. I mostly read M/M and I go through phases, some months I only read Sci-Fi, others I only read about cops or vampires or wizards or people being kidnapped or anything really. These last few weeks I’ve read shifter books, mostly werewolves. It’s not that I particularly like werewolf stories, but I get stuck. Not to worry, though, during my next phase I’ll binge on something else. I’m here today to give some book recommendations, and it’s always hard to do that without knowing what someone likes to read. What do you like to read? Okay, there are millions of books featuring cops and heroes of different kinds. When I tried to come up with one I wanted to recommend, it was Jordan Castillo Price that came to mind. Let’s face it, if you read M/M and haven’t read JCP, it’s probably by choice, so let’s just skip the good category. There are almost as many ‘bad’ characters as there are good in books. 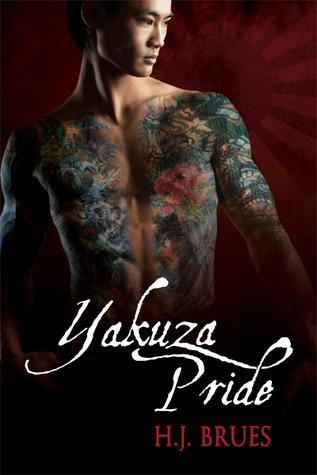 I was digging through my list of guys in organised crime and came up with Yakuza Pride by H.J. Brues. It’s not an unknown book, it has more than a few reviews and ratings, but even though it has, I seldom see it around. Ken is an artist, he illustrates children’s books and lives a quiet life in Japan, but there he runs into the Yakuza underboss Shigure. They fall in love despite all things, but then they’re dragged through hell. It’s a bit bloody at times, but I like that, just talking abut this book makes me want to re-read it. So if you like a bad guy willing to sacrifice just about anything for his partner, then this is a book for you. I hardly never read YA/NA, it’s not my thing. I know many love to read about young love blossoming but yeah, not my thing. 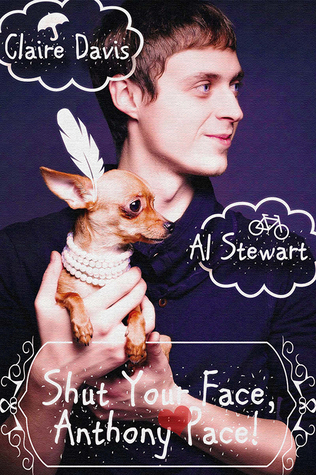 That being said, there are some amazing YA books out there, and one of my absolute favorite reads last year was Shut Your Face, Anthony Pace! by Claire Davis and Al Stewart. I don’t know what to say to make you realise what a brilliant book this is. I laughed and I cried because life isn’t easy, and sometimes everything around you crumble and fall apart. If you’re lucky, there is a boy you once showed the stars to guide you through the crises. Everyone should read this books; there is so much love and acceptance…and science. There are far too few older men in M/M. You’re lucky if you find MCs over forty, and it’s a shame. Forty isn’t old, and there are stories to be told featuring guys who have long ago left their twenties. But I’m not here to rant. 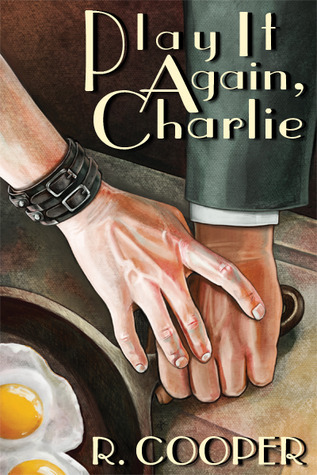 My ‘The Old’ recommendation is Play it Again, Charlie by R. Cooper. It’s a long time since I read it, but if you’re a fan of classic Hollywood films, this is a story for you. Charlie has retired from the police force, and his next door neighbour is the young film fanatic Will. It’s not always an easy read, but I smile every time I think about it. It’s an age gap, light kink story well worth checking out. 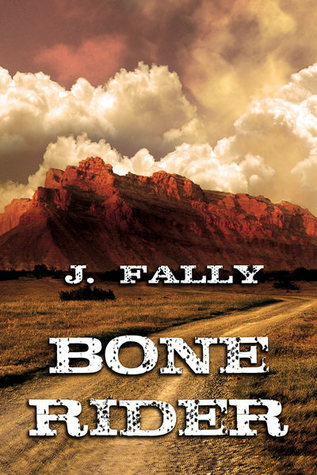 I was gonna skip this category because I’m already running a bit long but when I sat down to think about what books I should recommend I came back to J. Fally’s Bone Rider over and over again. I bloody love this book. It has love and violence and good guys and mob assassins and aliens crawling into your body and mind. It’s such a brilliant idea I wish I had come up with it. If you like anything alien or Sci-fi related, read it if you haven’t already. I can’t skip talking about something furry when I opened this post by saying I’ve read a million shifter books. Have you read The Last Pure Human by Twisted Hilarity? It’s not a shifter story, it’s an alien cat story, and it has just about everything I don’t like in a story but it doesn’t matter, I’ve read it several times anyway. You won’t find this story on Goodreads because it’s a WIP and somehow that makes it against the rules (even though there are several other WIPs there). It wrote a short insignificant post about this story about a year ago on my blog, and it’s one of my most visited for some reason. You’ll find the story for free here. I know I should stop talking, but we haven’t talked about anyone dead. There are so many great ghost stories out there, and vampires, and other dead creatures lurking in the night. But my someone dead isn’t a ghost or a vamp, I want to recommend Cold Fingers by Amy Spector. This is a lovely gothic paranormal romance, and it has one of the best prologues I’ve ever read. It’s true as they say, all the good guys are either straight or married…or they’re necrophiliacs. I’m gonna stop there before I bore you to death, but I’m always looking for new books to read, so hit me up with some of your recommendations.